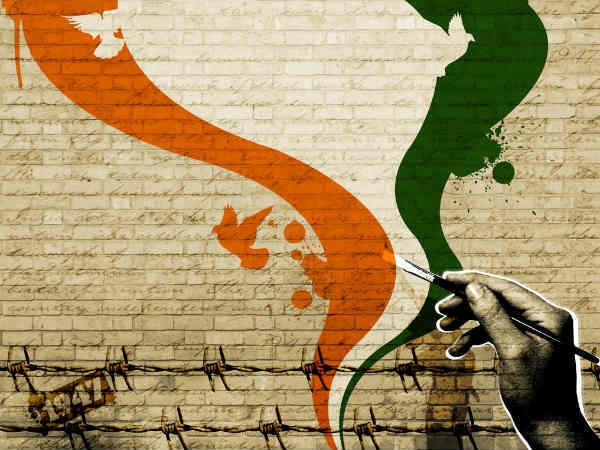 This year we are going to celebrate India’s 72nd independence day. The craze of celebration and decoration are huge. 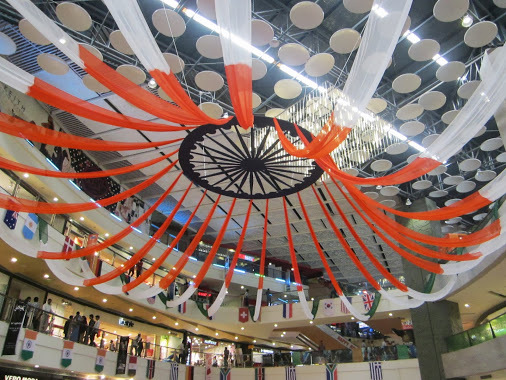 Many Restaurants, fashion designers, and e-commerce websites are offering tri-colored themed food, clothes and flags and apparels inspired by patriotism and freedom fighters respectively to make it special. 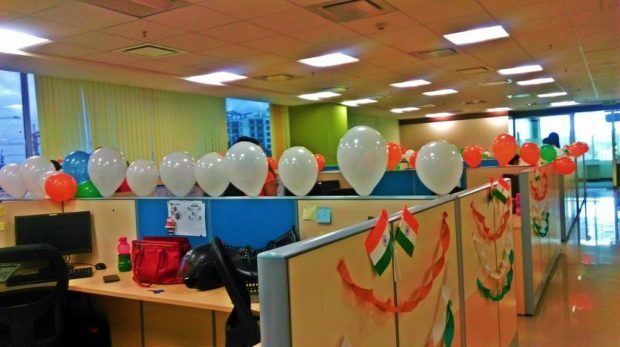 In this case, many corporate offices also plan to celebrate Independence Day in different ways. 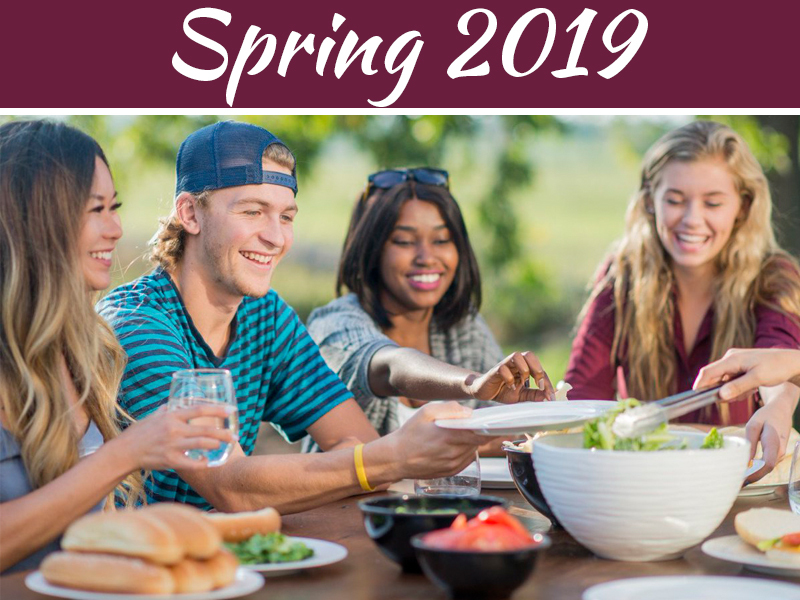 There are many ways to show feelings towards the country like throwing a party, décor the office or by playing national songs. 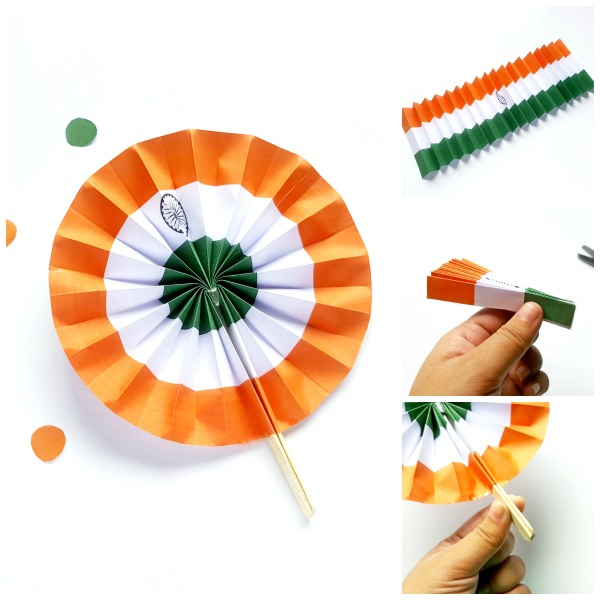 Indian flag paper fan is a great DIY decorating idea. You can make tri-color paper fan for desk or to stick on the wall of the entrance of the office. Making a flag doesn’t only make us feel proud but also make the feeling strong towards the country. Take a big paper and stick on the wall. Each employee has to print on it with tri-color and make the country’s flag. If your corporate office doors are made of glass, you can paint a flag on it or write the message by using tri-color. You can hire a professional painter to draw freedom fighter’s snap. This would give a different look to your office entrance and will show patriotism towards India. Crayon shaving and pencil shaving are the trending in the art world you can use this DIY idea to decor Indian flag. Brick makes the house and office strong. We love things using blocks. Paint your office wall with the tri-color. 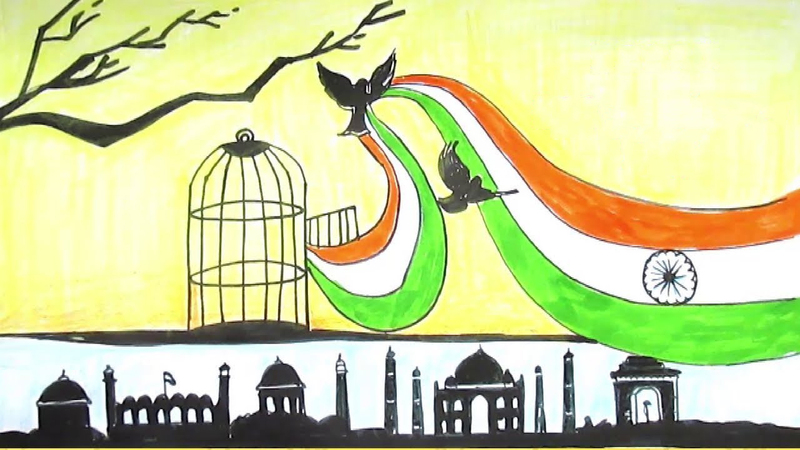 Or write some message “Happy Independence day,” “Saare Jahan Se Acha Hindu Sita Hamara” whatever you like. Use orange, white and green colors drapes; hang them on the height of the ceiling. Curl them and use some bling material for the better look. 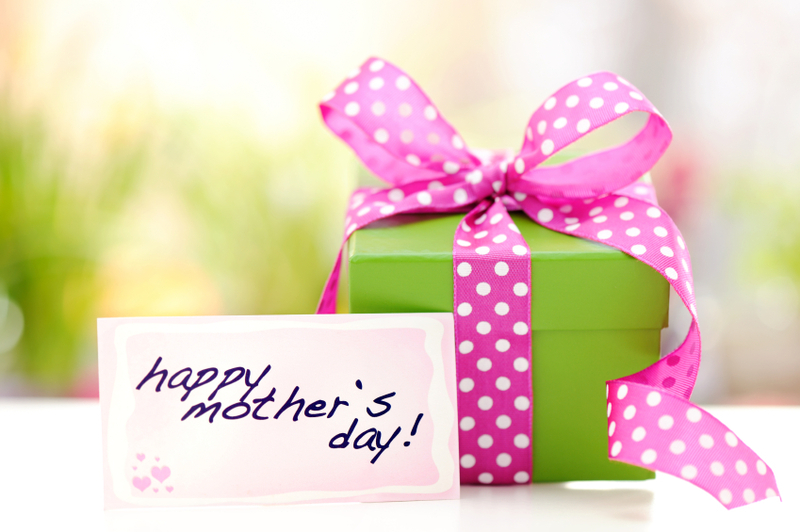 If you are a decorator and decorating the entire office, how can you miss the desk decoration? To decor your office desk of the wall you can use flag, ribbon, balloons or lighting. Decorating the desk not only make the employee feel good but also brotherhood feeling would be a rise in the heart of employees. 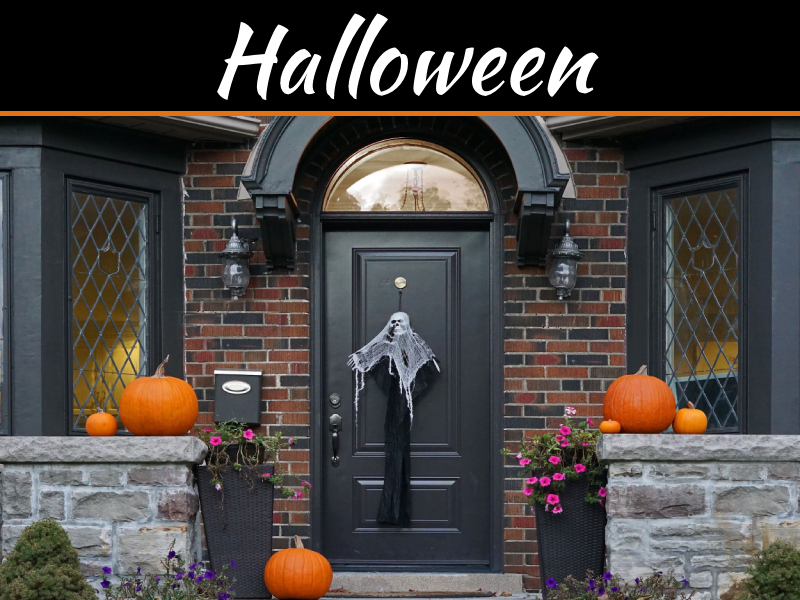 You can decorate your entrance with flowers, colors, lights (Dia- lamp) or you can place a balloon individually or make a balloon entrance (theme decoration) too. You can hang arc of balloons or arc of Indian flag at the gate. 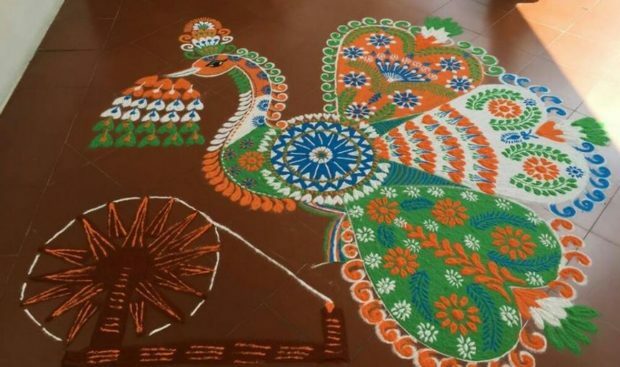 We Indian love rangoli designs, we love to decorate every festival by using rangoli why not on an independent day. Either by flower or by colors and finish the rangoli with dia (lamp) would provide a great welcome look at the entrance of the office. Plants can be a great way to create a more welcoming space. Potted plants can help you separate spaces, provide natural accents and even improve air quality in the office. Likewise, you can use cool tones like blues and greens to create a more relaxing environment. 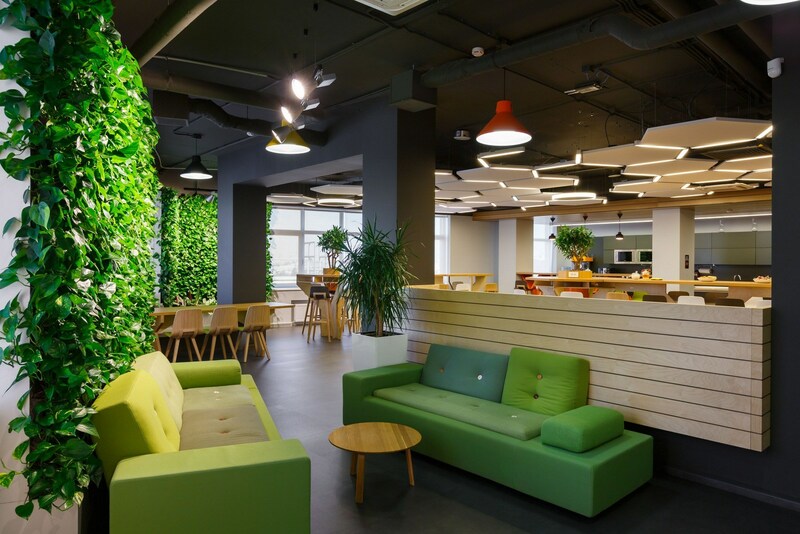 So in spaces like your break room where you want team members to relax, you could utilize those colors in the decoration. No matter which colors you choose, you have to make sure they are at least somewhat consistent and complementary. So plan it out by creating a color story and checking to make sure all your choices look good with one another. If you have a larger space with multiple different areas, you might want to separate some of those different spaces with various elements. 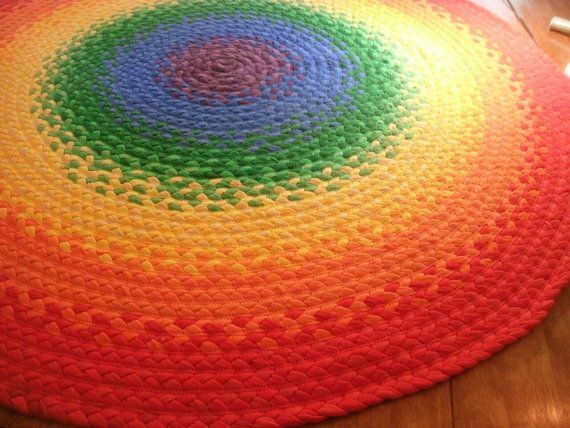 Orange and green color rugs could provide a great look of outlining spaces without creating physical barriers.